Search Superior at LaSalle River North condos for sale & real estate in Chicago. 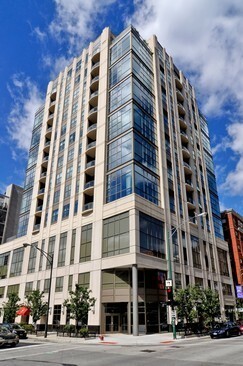 Superior at LaSalle is a condo building in Chicago, Illinois that offers a variety of amenities to fit any lifestyle. Find the newest Superior at LaSalle condos for sale & real estate property listings in Superior at LaSalle below! Browse our Chicago condos, lofts, Chicago penthouses and Chicago highrise condos for sale by location, size or price and let this website be your local real estate guide. We would love to be your Chicago real estate agents and assist in the condo buying process. For information about Superior at LaSalle properties for sale or to schedule a private condo showing, contact your Chicago real estate experts today. Read more about Superior at LaSalle real estate. Selling or buying a condo in Superior at LaSalle soon? Call Guarnero Group Compass at 312-810-6693. Our community of Superior at LaSalle real estate agents will help you navigate the real estate market in Chicago IL. Built in 2007, this contemporary building referred to as the Superior at LaSalle reflects some of the best River North condos that Chicago has to offer. Situated in the heart of this central urban neighborhood with Chicago’s elegant art and design district to the south, the Magnificent Mile to the east, and the refined Gold Coast area directly north, 150 W Superior condos in Chicago IL are an ideal location for anyone who wishes to enjoy the heart of the city. Surrounded by a range of dining options that include some of the world’s finest high-end restaurants, the area around 150 West Superior has everything from casual sports bars, neighborhood coffee shops, and trendy nightclubs within walking distance. 150 West Superior’s central River North location also ensures that many local spots deliver. Retail choices abound, from nearby Michigan Avenue and Oak Street to the quirky boutiques in River North. Whole Foods, Trader Joes, and the newly built Target at Division Wells are also nearby, allowing for the ultimate in convenience. 150 W Superior condos in Chicago, IL are also close to several River North gyms, including David Barton, ENRGi Fitness, and the luxurious East Bank Club, ensuring that there are plenty of options for residents who keep physically fit. The Lakeshore Drive running and biking paths are also a short trip away. With a prime location in the heart of River North, surrounded by a wide range of entertainment, dining, nightlife, and retail options, the condos for sale at 150 West Superior make the ideal Chicago home for anyone who wants to live in the heart of it all. Covered garage parking is available in this 14-story 24-hour doorman building, and it is situated near the CTA Chicago Brown Line and Red Line stops, as well as many bus routes. It is a short walk to the Loop, the Magnificent Mile, the Merchandise Mart, the Gold Coast, and anywhere else in River North. Thinking of buying or selling a condo in Superior at LaSalle? Let our local River North real estate agents guide you through the purchase of your next property or expertly negotiate the sale of your current Superior at LaSalle residence. As local Superior at LaSalle real estate agents, we're experts on the market dynamics unique to the Chicago IL real estate market. We'll start searching for your new condominium today! Contact Guarnero Group Compass to learn more about buyer or seller representation. Planning to sell your Superior at LaSalle condo? Contact us to learn more about a possible property evaluation for your Superior at LaSalle condo in Chicago!